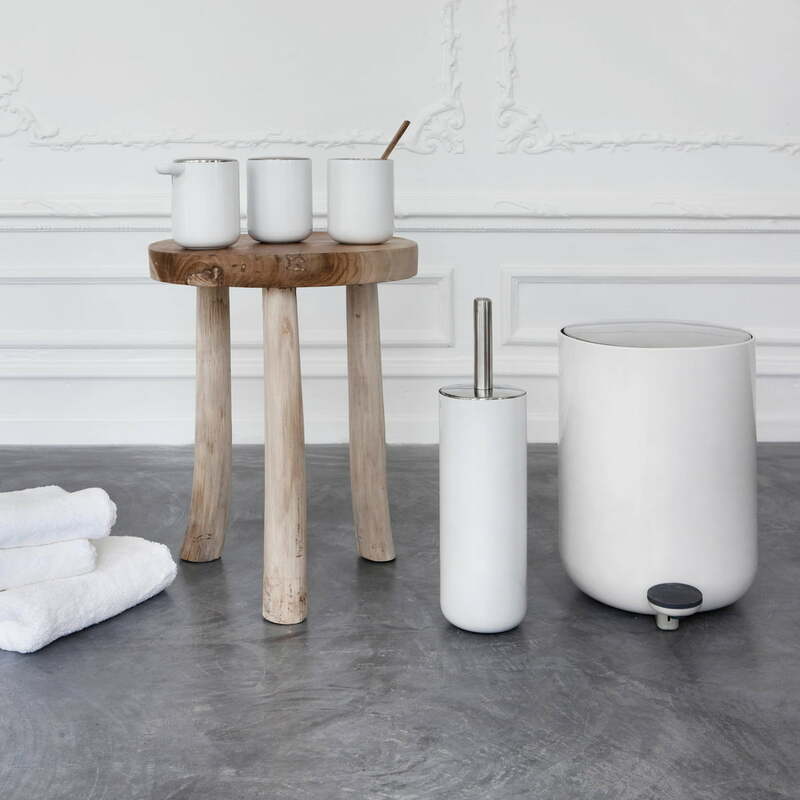 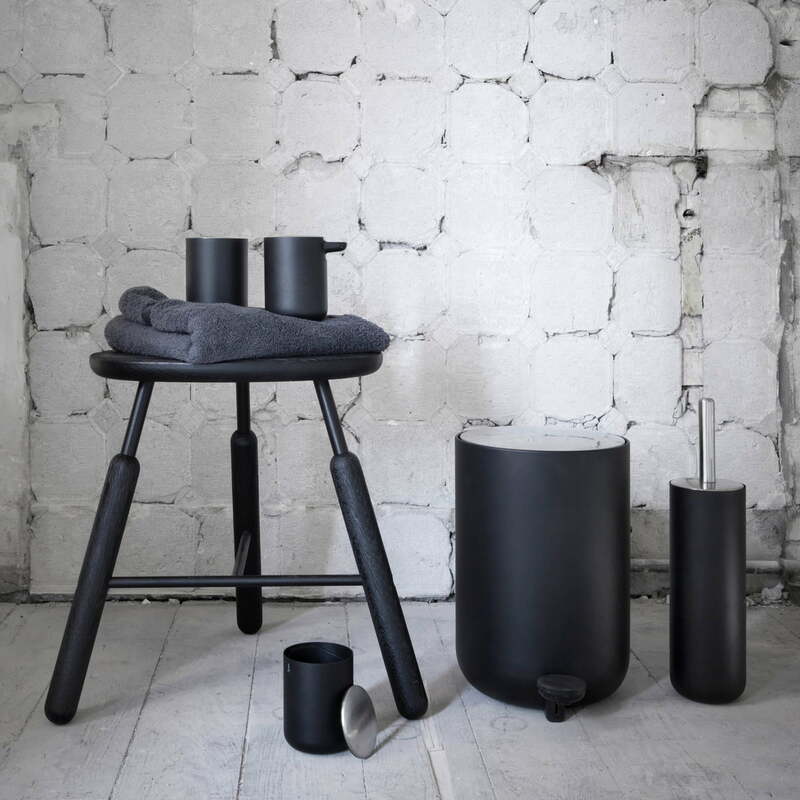 The toothbrush holder out of the Bath collection by Menu comes in the Norm-Design Agency typical, Scandinavian design, which is elegant, pleasantly cautious and functional. 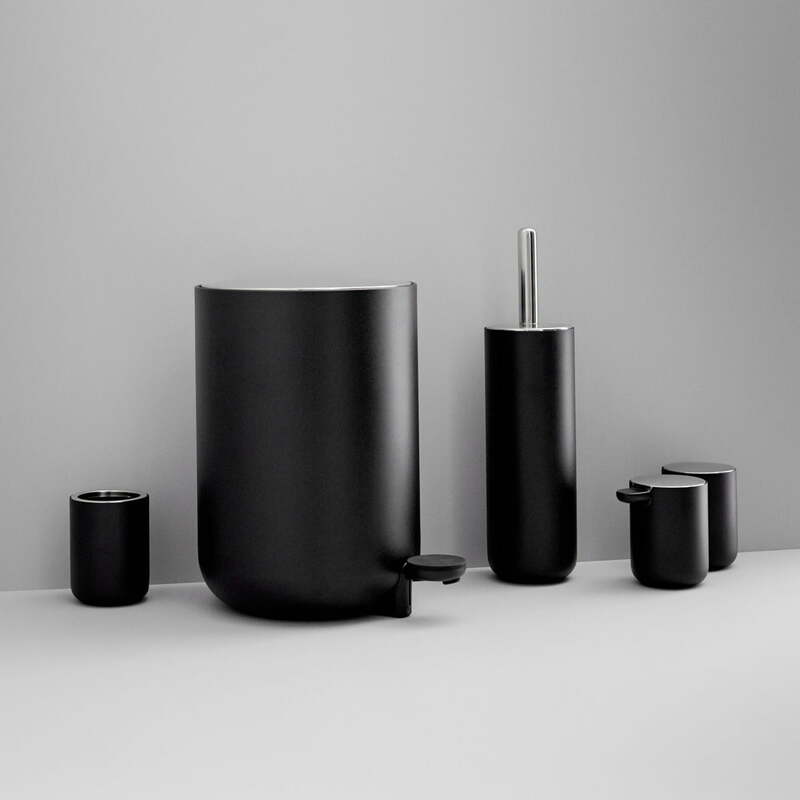 The exterior cover consists of white or black lacquered steel and ensures a noble appeal which is capable of being integrated in nearby every bathroom ambience. 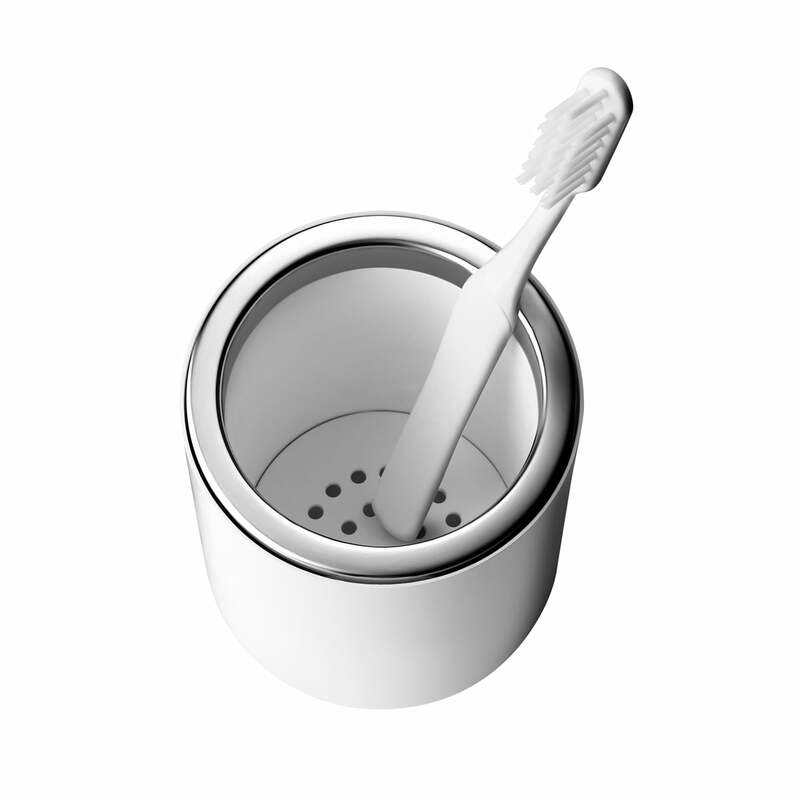 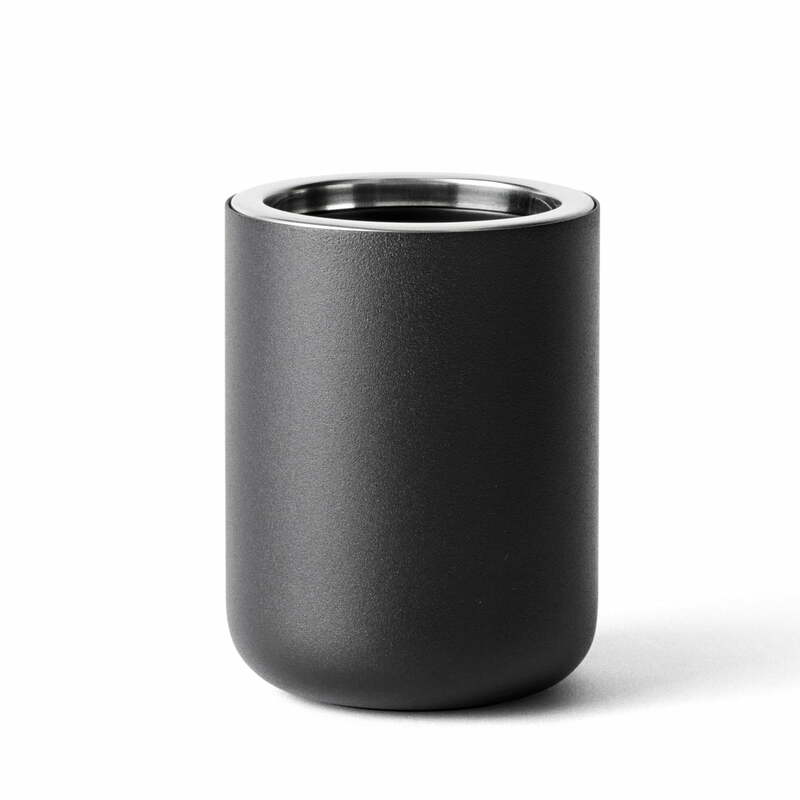 The toothbrush cup is easy to clean, since the synthetic pieces in the inside are easy to remove. 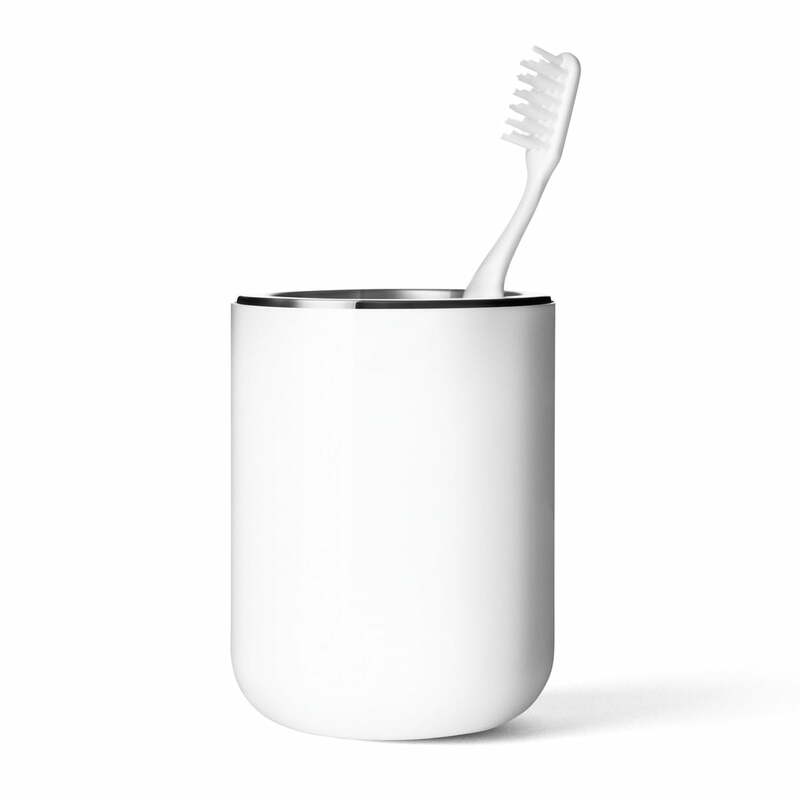 Moreover, the toothbrush holder offers a safe, slip-resistant stand thanks to a rubber ring on the base.